Chapters From My Life: My Daughter's 16th Birthday. This is a belated post of a belated birthday of my daughter. Farheena was born on 11th May 1995. She is not satisfied with having her birthday fall in between the summer holidays, as she loses the fun of celebrating it with her friends and teachers. Often, she makes me assume it is her birthday sometime in November or December and has a party in school. At times she comes up with, ‘Let us celebrate my birthday’ at home too. Her innocence is a blessing in my life; it is no big deal if I have celebrated her birth more than once in a year. Year 2011 was different though. On May 11th, Farheena did not want her birthday party. I was busy with my studies and she must have guessed that exam time is not right for party. So she came up with the idea that she is going to have a party with her family (uncle, aunts and cousins) in Bangalore. So off we went to Bangalore to meet her uncle, who was in India on holidays. I had to get admission for Rayyan in Arena Animation along with meeting my brother after a year. So it was not a problem having a party for Farheena in Bangalore on 25th May. It was a great party with pizza, cake and other foodies. Farheena had a tiny complaint that everyone forgot to get her a birthday present. LOL. I made a dress for her- a usual routine for her birthdays. She loves it. So there goes the girl celebrating her sweet 16h Birthday.I Love you my child. Looking more like you, birthday wishes to her, and may you have a joyful day. so beautiful...warmest birthday wishes to both you and your daughter! I have to say, I understand Fahreena wery vell.. I often wish it was in july, and my, I would do that, celebrate my birthday in july instead.. Thanks to your story Fareena, and congratulations from me to you. The cake looks really yummy.... I hope there is some left for me as well! How wonderful to celebrate one's birthday when one feels like it! I can understand your feelings about celebrating the day more than once in a year :) Many happy returns of the day to dear Farheena. Loved the pictures!! That's a lovely dress you stitched for her. 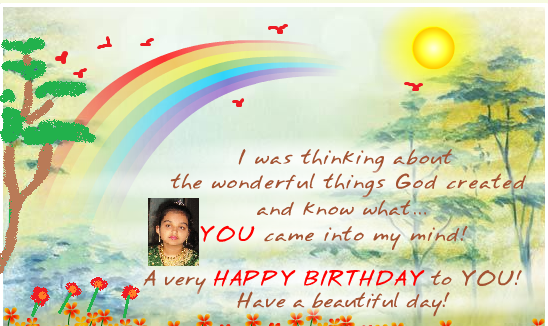 Best wishes and belated Happy Birthday to Farheena. Let Life be Your Focus. Not Survival.